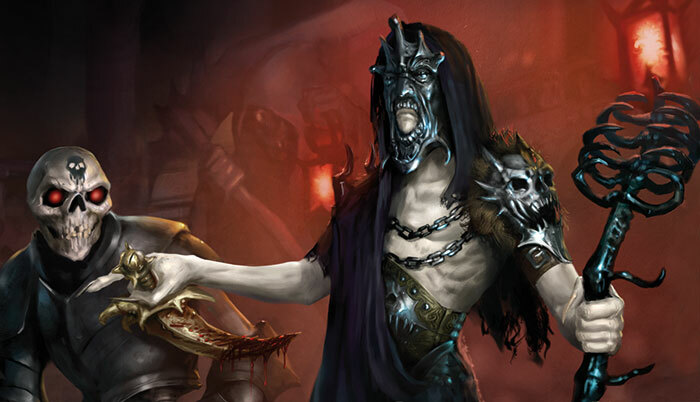 In Runebound, you enter the realm of Terrinoth, a fantasy world first created by the original edition of Runebound. 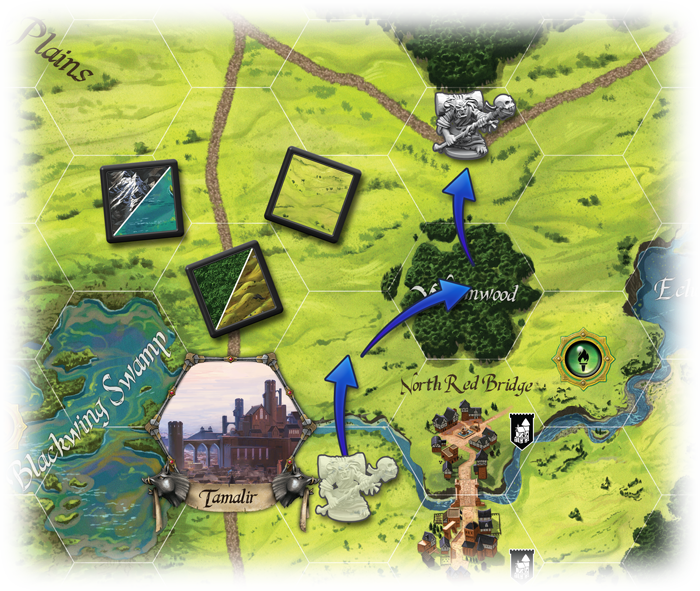 Since then, we've invited players to different parts of Terrinoth through Descent: Journeys in the Dark, BattleLore Second Edition, Rune Age, and Runewars. 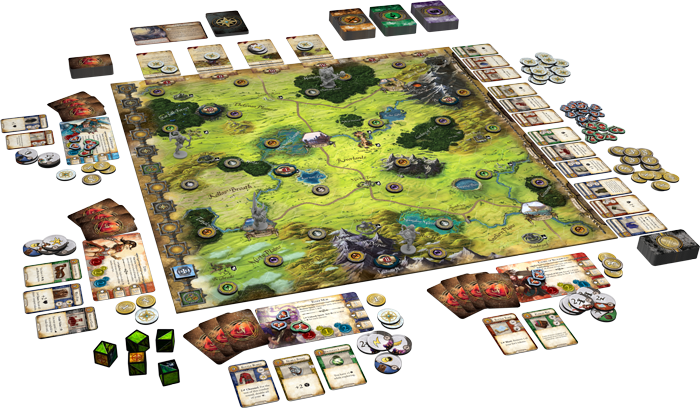 Now, you can return to the realm with the new version of Runebound, a reimagining of the classic adventure game that first introduced you to Terrinoth. 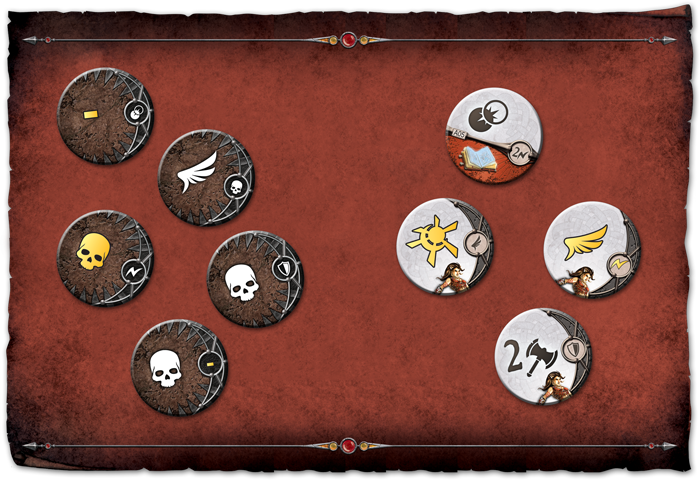 During combat, you’ll also decide how you wish to spend your surges. 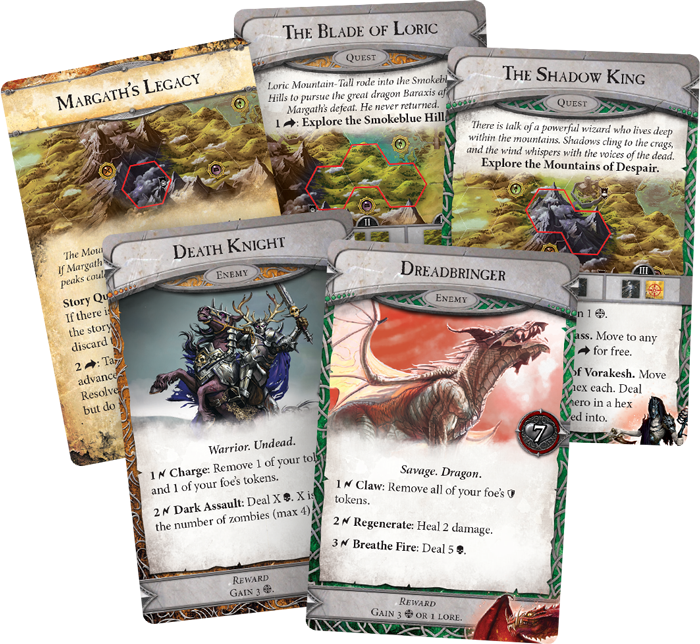 Every hero and monster features a number of powerful surge abilities – special feats of bravery or strength in arms that you can trigger during combat by spending surges from your combat tokens. 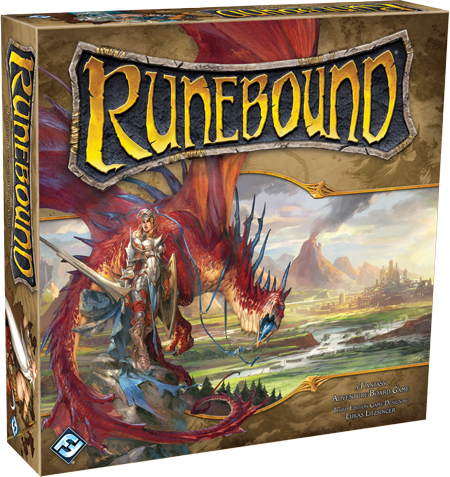 Even as you choose how and when to spend your combat tokens, you’ll need to consider exactly which surge abilities you want to trigger, making combat in Runebound an intensely tactical contest of wits. 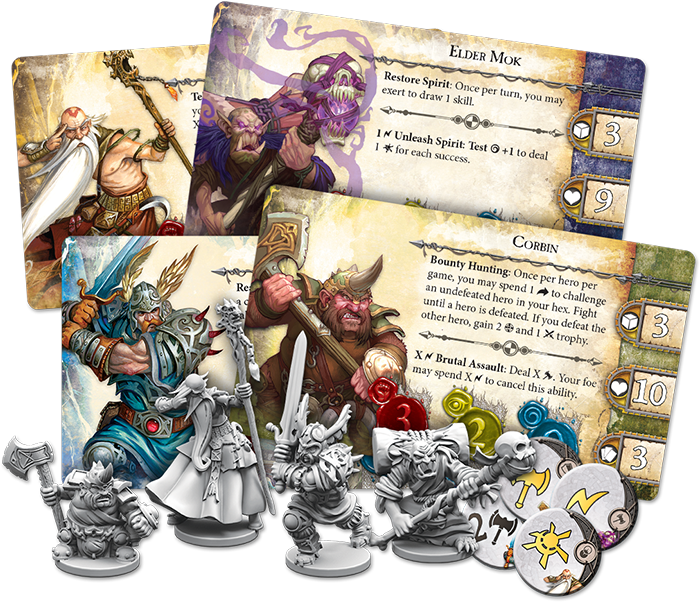 The copyrightable portions of Runebound Third Edition are © 2015 Fantasy Flight Publishing, Inc. Runebound is a ® of Fantasy Flight Publishing, Inc.